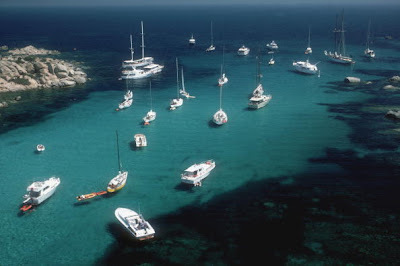 Corsica is a beautiful place, so colorful, a touch...exotic. Jo Jacotey's photos bring out the blues, greens, and other colors to the max. At times some of JoJac's photos (uh oh thats going to get me in trouble) remind me of Slim Aaron. Slim Aaron was know for for taking pictures of beautiful people at beautiful places doing beautiful things. He photos have great blues and greens. Just wanted to share some overlap of styles. It would be awesome if Jo had his own collection of Alizee and Jerermy and family in a Slim Aaron style. Beautiful people doing beautiful things at beautiful places. According to IMDB, 'Coco avant Chanel' will be released in the USA on September 25, 2009 on a limited basis. The English title will be 'Coco before Chanel'. Now really, does the English speaking world need "every" word translated? I guess the movie industry thinks so. The title is 'Coco avant Chanel', just let it stand at that, the English speaking world will figure it out, well, that is unless you spoil us and do everything for us. C'est pas ma faute. Click on the link to see the release date in your country. Do you sit around thinking about Alizee...I do. I enjoy the psychology of marketing and business, I like certain personalities, sociology...Alizee is all that wrapped up in one package. She is just SO intriguing. Let's talk a bit about Shakira. I really like Shakira, I admire her, singing, writing, entertaining, humanitarian efforts....but...no intrigue. She just came out with a new thing called DUST. It does everything we all want to do for Alizee. It's nice that they have fun with it, talking about secret handshakes and joking along those lines. Well DUST takes you to fan manager, there you can find items to help support and promote Shakira. All different sized banners for her upcoming album, code is there to pick the one you like, copy and paste it on your site. Here is a sample of what they have going on: "tools which will aid you in your quest to spread the word of Shakira and She Wolf around the world wide web. Grab the codes and stick them somewhere online (your Facebook, MySpace etc page might be a good place to start, but if you have access to the front page of Perez Hilton’s blog, that would be great too)." "Once you have performed some DUST duties, you can report them to us here at DUST HQ. To do this, click the “Report Your Work” button above. You will be taken to a SECRET form, where you can upload your photos, report your work and earn points to win THINGS." They are throwing some big boy money at that. Interesting to note that this is all for a new album coming out in October 2009, which the first single has already been released. Television appearances have already started, Oprah and the like. There is a store where you can buy clothing and you can also pre order the album. Are you OK? Whether it is Jive, Sony, RCA, BMG, ABC OR XYZ does it matter? We know relatively nothing about the new album. They may have a slamming promotional coming up...who knows? All I am saying is be prepared. You may need to go to the big warehouse store and buy the economy case of paper bags! I think it would be cool to have a banner available to post on websites. Just copy and paste the new Alizee promotional ad regarding the new album. HINT - we don't need to reinvent the wheel here!!!! Alizee is all about the internet. Shakira I can catch on the television, on the radio, in papers and magazines...with Alizee, if it was not for the internet...I shudder to think. As Winston Churchill once said "Give us the tools" and the rest of the quote is "and we will finish the job"
Alizee promoters did you hear that? Give us "official" banners and we will post them. Have them available on a website that is already up, Alizee's official website, myspace...possibly different languages. We can have someone design them for free if you just tell us what you want them to say/promote. We are not even asking for TV appearances or even a concert, just let us do our thing! As far as a concert...how about something like an 'internet concert'? one song, 'the' promotional song, now get this, live online from Alizee and Jeremy's home studio or record it and broadcast it at a specific time. How easy and how cool would that be. Have a 60 second tour of the studio too. Then post it on the official Alizee YouTube site. So far here Alizee has not had to leave her home. Come on promotional guys...I'm just throwing out crazy ideas as I am typing and you're getting paid to do this. Someone think outside the box. Alizee fans...it has been mentioned before...we are not normal. Tweeterwall, we all have to admit, no matter how it ends up the effort to date has just been abnormal. It is late July 2009. 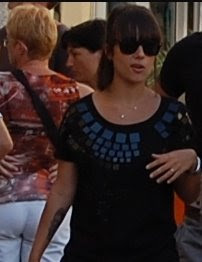 How many appearances has Alizee done this year. One, Aguacaliente, one MySpace post and 23 tweets...and we still come online every day, go to forums, write tweets, write blogs and do podcasts. The things we search for...that Alizee feet one is my favorite. I found the more I focus in on a certain country the higher the 'Alizee feet' search rises. Here is a silly mini mash up with those fans in mind. 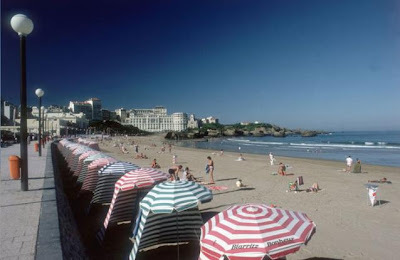 The Northern Hemisphere we are in mid summer, the Southern Hemisphere is mid winter, but does it matter. 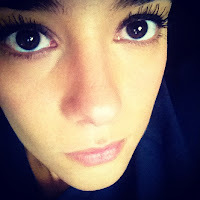 Check mellealizee (Alizee's twitter is like a drug and I am in need of a fix, NOW) I could shower first but this will only take a second and I can not wait that long.......nothing :( , maybe later today. Vote (Tweeterwall) if I vote now it will not take that long then I can vote again after my shower. Oh yeah what is the vote spread difference, yikes! I am paranoid, must vote more! Let's start with the more... Jeremy Chatelain updated his myspace account July 20. I say update because he does include updated comments. Hmmm, could be a back door way to say hi to he and his wife. Kind of funny to look at it that way. I used to report this as a regular basis but I think I am the only one fascinated by it. I noticed his auto start songs rotate, that is also kind of nice. So by now what do we expect of Twitter...I find my Twitter tough to do. Should it be funny, witty, informative, trivial??? To use it as an "open face" email for everyone to read? And how many Twitters can you follow? That is also a touchy area. Do you go for quality or quantity. I like the quality with a touch of quantity. Celeb's can be interesting. I like Karl Lagerfeld, Shakira does timely twwets with pics which makes it interesting. Freakonomics and Daniel Pink I like but almost overwhelm me with too much information. So what to do with Twitter...celebrities do have it the easiest. Just serve us a 140 character slice of life and we will eat it up. They actually can do anything and we love it. Alizee could actually do a Twitter about nothing and I would think it's the best reading on the internet. So, Alizee, don't over think it. Just Tweet us...what you had for lunch, if you work out what did you do, what you watched on TV if you watch TV, the last time you windsurfed, more pics of you at the studio........I had a croissant for breakfast.....and we will go nuts. Me tweeting I had a bagel for breakfast just doesn't have the same effect. Then again Alizee would have to actually have to read this to be able to poke fun at me in that way and we all know that doesn't happen....right? 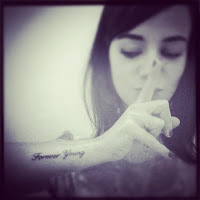 Hi, Alizee Nation here, let's face it, you just can't get enough of Alizee's tattoo's. Alizee Nation listed with fashion blogs. Did not mean for that to happen but why not, Alizee deserves it. "omg, omg"....stop hyperventilating....someone get a paper bag....it's OK just breath into the bag, in and out, in and out. it's OK just keep breathing into the bag....you will be fine. Alizee is just my favorite, she is just so passive-rebellious...what's not to like. It's the Corsican in her I think. I am will not be able to read anything for a week, the 04ers will drive me crazy. I'm not saying anything here, because I don't know what to say. It's just interesting. Just silliness with Alizee's MJ adaptation. I keep going back and looking at this compliment of Alizee's Lilly Town. I just have to say something. In Polly Platt's book French or Foe it mentions how the French compliment through the use of food descriptions. The use of the American saying 'you look like a million bucks' falls flat. So, after looking at this over and over for the last couple of days I just had to say something about this Tweet. hmmm what would Alizee be, our little vanilla bean, creme brulee with whipped cream...oh yeah I'm a vanillaholic. A little odd but come on, you had to expect it by now. Do you have your own French food description? The send will be done within the deadline of 20 August. For more information I invite you to visit the forum. Hoping to receive more investments. 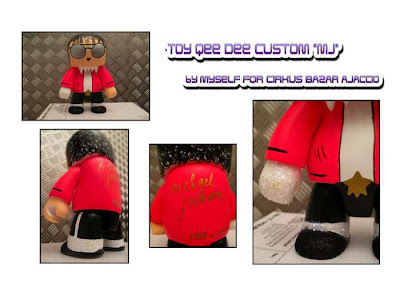 So send you ideas to Psychalizee.net!!!!! Sometimes I just get way off topic. Some of the stuff on my mind right now...let's hope for your sake it does not make it to a post. It's that non serious 'stuff' that I have fun with. I find myself drifting away from the serious points, maybe it is just summer having an affect on me. Thinking about the new album...which like all of you I just can not wait for...French, Spanish, English...you know...I just don't care, just as long as it's good. I feel like expecting parents, do you want a boy or girl? Does not matter as long as he/she is healthy. Yeah yeah I know, it would be so good for this market and that market. I just want to be able to enjoy it. I don't want to be a "little league parent" for Alizee. Here in the United States we have parents forcing their kids to play sports...thinking they are the next basketballs Michael Jordon or Footballs Tom Brady or baseballs Babe Ruth. Sometimes I feel like we are all like that, if you would just do this or that Alizee, you can be the next big thing. If she wants to do it - GREAT. But if she is happy doing what she is doing - GREAT. In the mean time I can not wait for the this album, in whatever language it is in. I know, I know Alizee, I went all serious there, just when I said I was not into it. Yeah, yeah I said I was going to be off topic too. Whew, that control thing, you should really look into that :) ...call me later, I'm trying to finish this post. So lets get a little off topic...The Killers, Alizee mentioned she liked them at one time....so it has a little tie in. So that's it....oh man! is that my phone ringing...already! I know you fans, Cirkus Bazar is going to wish they had 100 of them...what recession? Alizee - recession buster! On the Ajaccio Cam the store is just across the bay, over towards the right...no, just can't see it. It would be cool if the lucky buyer would come over to the circle and show us...ha..probably being shipped to somewhere for lots. 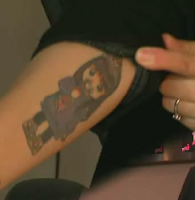 It is cool that it is one that she herself customized! Nice effort. I like the remix that was used. The use of dual language boxes was a real nice twist. I happened to go to the site tonight and found a nice general introduction to the upcoming new album. But what really caught my eye was the nice write up on Psychédélices. "It's a pity to see Psychédélices sail away into the sunset after 2 singles (Mademoiselle Juliette in 2007 & Fifty-Sixty in 2008), but with a brace of recent albums under her belt by 2010 the tide of good fortune will return as we embrace a fair wind for a voyage to another New World ..."
I just had to quote it again. Thank you for putting my feelings into words. And the finish...so appropriate! Nicely done. Are you like me? When we enter these gaps of communications do you wonder where is Alizee? What is she doing? Is she on the dark side of the moon or just busy being Mom and making a new album. Is she at the beach on a summer vacation, possibly the Seychelles? Or where do celebrities go...Wimbledon watching tennis, or L.A. to say goodbye to M.J. I wonder. It appears that she is comfortable Twittering us while working on the album, but maybe not Twittering us from outside that format. Truthfully it is just Alizee being Alizee. 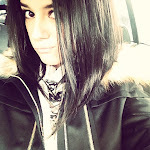 We all have out 'Alizee moments'. At the end of last week I just wanted to be left alone and turn my phone off. Truthfully though I did not turn the phone off, I thought what if Alizee calls me...you're right, I better keep it on. With all this Twitter and Twitterwall activity going on, let's take a look at that widget that tells us what's popular here at Alizee Nation. We have the main page as first, makes sense. I don't think I ever will figure that one out, I thought it would eventually fade away, but it is pretty steady. Alizee's feet have a steady following. But if I had too...with Twitter I have many posts but with feet the posts are limited. So I would say all the different Twitter posts are being divided up and the limited 'feet' posts are not. Veni Vedi Vici is still hanging in there too. We ants had megaphones this past weekend. The ants have megaphones is a line from the book "The Long Tail". "Top-down messaging is losing traction, while bottom-up buzz is gaining power." We had some bottom-up buzz fun these past couple of days at Tweeterwall. A chance for some bottom up activity to get Alizee a little more exposure. For we Alizee fans it was a chance to show our support, to make a difference. 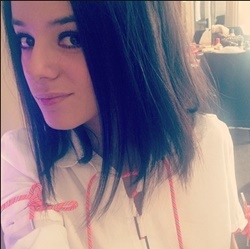 Even, dare to think, encourage Alizee concerts and appearances. For Pink or Britney fans to go through this, it just does not hold the same meaning. I think most of us understand this. It is more about us and what we can do. Britney and Paula fans have already gone through one Tweeterwall contest. The Celebrity Twitter. It appears that it ran from February to July. Now they are right into another one. It's our first and excuse us if we have had fun with it. Our opportunities are so few, we have to take advantage of them. Our statement is not towards the other contestants, it is to Alizee herself...we're here! Others may out number us but we do what we can...Carpe Diem! It may be just a silly little Tweeterwall contest, but until something more comes along for us, we'll take it. And where do these ants come from with their megaphones? But what about the 4th of July in Lilly Town? Z-100, OK, I sent in my song request! "we choose to go to the moon, not because it is easy, but because it is hard" I really do a decent version of President Kennedy on this, really ashamed to waste it on a text...or maybe it isn't. Depends who you talk to, me or everyone else. Ever watch the movie "The Messenger" ? Joan of Arc is always saying, better now then tomorrow. I posted this on Alizee America and here...what can I say, I am jealous and just sharing with the rest of the world. Yesterday I did a post on the ratio of twitterwall votes vs Twitter followers. That was Friday morning. I did those numbers based on 962 followers. Well now Alizee is at 997! I know it can go up and down a bit but I am going to keep an eye out for 1000 and Twitter her congratulations on a 1000 followers, I know you will too!!! I don't know how we're doing it. 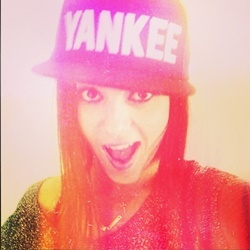 Alizee's current 962 followers are going up against 500, 000 to 2,000,000 followers! Alizee's Lilly Town People are just an impressive, devoted group. Well if you have not heard by now there is a vote going on via Twitter for the most popular female singer. This is our chance. No more Alizee should do this or Alizee should do that. This is not up to her, it is up to the Lilly Town People to get her name out there. I read you can vote every 20 minutes. There are some mighty big names on there that the whole world knows! "WE" are definitely the underdog, we have them right where we want them. Went to an online logo maker just for fun...used Star War font, don't know about that but did not want to stay up all night. LTP - Lilly Town People, that's us. seems too simple yet to me. Do you think Ruroshen can do a Hello Lilly Town People shout out like Robin Williams did in Hello Vietnam? Ruro does a fantastic job on those podcasts!!!! 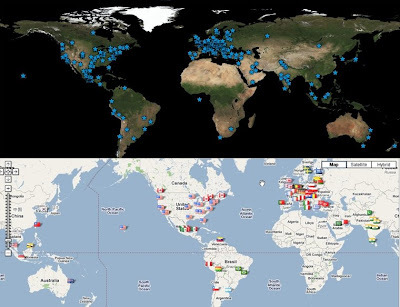 Here is another type of visitor map available called a heat map. Shows visitors as hot spots. Useful, I don't know, but it is interesting. Not exactly what I would expect for a blog written in English. Ever notice that the European Skyblogs that reference Alizee, have a lot of females writing them, where English speaking forums are male dominant. I am thinking Alizee maybe looked upon as a role model by young European females. I guess they would have to answer that. "ALS " brought it up in Alizee America..."OMG We're a cult". I have been thinking about this for a long time and I am very grateful to ALS for bringing this up. Since the subject is now open... here we go, it is starting right here, right now. 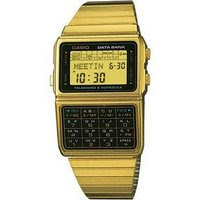 Cult followings often pertain to items that don't have broad mainstream appeal. But it also can refer to a devoted, dedicated fan base. If you can describe yourself by one of those two statements I have a home for you. Even Alizee does not know what to call us!!!! It would be nice to incorporate Lilly Town...Lillyheads, I am not sure that is conveying the correct message, "not that there is anything wrong with that"
Mixing in the French Foreign Legion, Lillys Legions. There may be a French word combination that works too. Either way I am going to run with this...I am not "Lilly Town People"
In advance...there are 100 ways it will not work, I am not looking for reason 101. I am looking for 1 or 2 ways it will work. As Henry David Thoreau said 'The fault-finder will find faults even in Paradise'. All devoted fans will be Alizites or Alizian or ...no matter what forum you call home. A uniting of the clans, with a shared designation.